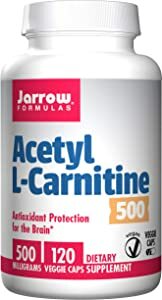 ALCAR is the user-friendly name for Acetyl-L-Carnitine, a supplement you need to know about for its physical and psychological benefits. It’s a compound that provides legitimate benefits and is often overlooked for more-popular carnitine products. This version carries all the benefits in more digestible and far superior support for health and wellbeing. Read on if you’re interested in getting the better version of a popular supplement and supporting both health and performance at once! 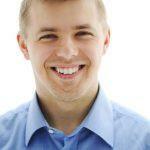 Metabolism and Energetics: Why is Muscle Carnitine Important? Healthy Aging: How Does ALCAR Protect Cells? Can ALCAR Support Mental Health and Performance? 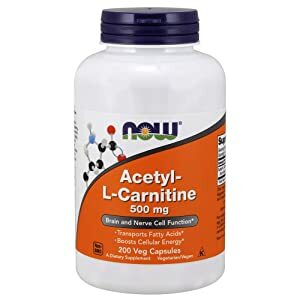 Can Acetyl-L-Carnitine Supplementation Support Healthy Blood Sugar? 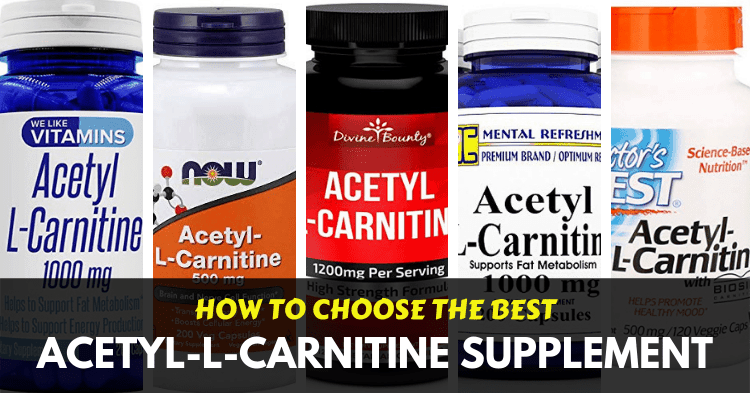 L-Carnitine vs Acetyl-L-Carnitine: Which is Best? What Makes the Best ALCAR Supplement? How Should You Use Acetyl-L-Carnitine Supplements? 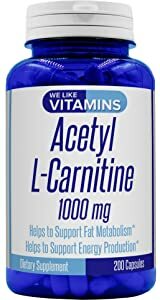 ❯ Can I take L carnitine on an empty stomach? 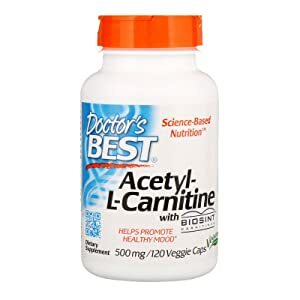 ❯ Does acetyl L carnitine help with weight loss? ❯ Should vegans take ALCAR? These are some of the most popular and well-regarded products on the market. We’re covering the ones that are getting all the attention for their price, purity, or scientific backing. BulkSupplements scores points on the company values and manufacturing processes. They’re a consistently well-dosed and well-priced product. They start our list with a fantastic, price-effective product that offers 100% ALCAR. This is as effectively dosed as any product gets – it doesn’t include anything else, but it goes hard on the basics! Nothing flash, nothing filler, just 100% ALCAR powder. The powder version provides the best control over your intake and the purest possible product. It does, however, mean you need to pay attention to what you’re taking and how you’re taking it. If you’re not careful, you can easily over-consume your ALCAR. Follow the serving guidelines and use any scoop provided and you’re likely to have a great time with this product. Great price point – competitive with anything on the market! NOW supplements continue the trend we’ve already seen with a simple and effective product. 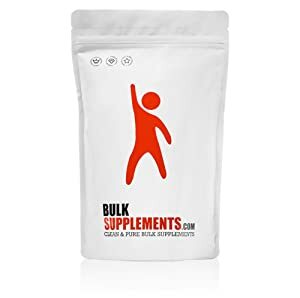 As with BulkSupplements’ product, they’re 100% ALCAR by weight with the exception of the actual capsule. 1g of supplement is 1g of ALCAR. This is dissolved in a high-quality stearic acid just to harden or stabilize the product. The overall result is a simple but powerful dose of acetyl-L-carnitine. The cost here is much greater than with BulkSupplements, however. When the purity is equal between the two products and one is providing a much greater serving count and better price, it’s clear which is going to be the best choice. NOW’s product is effective, but it’s also not going to provide the same sheer value-for-money that you’d get with BulkSupplements. The purity and potency of these capsules are great. They’re 600mg each, which is a whole 20% over some other products on this list. The cost and count of this product are comparable to others on this list, offering better per-serving value than NOW, with each count being more effective. A single capsule here is enough to achieve the 600mg-2,500mg serving you need to maximize daily benefits. There are subscription and bulk buy options that allow for maximizing the price-effectiveness of this product, leading to a competitive price-point on a superior product. All you need to do is look at the per-serving concentration for this supplement and the cost per gram of effective ingredient. Overall, this has value if you’re looking for a low dose with a single capsule, or a consistently effective product at a reasonable price. The main problem we’ve seen with this product is the actual quality control – with multiple reports of under-dosing and under-counted containers! These make for a significant risk, especially since there’s no FDA manufacturing practice review to assure their potency. This product comes out at the lowest price per capsule so far, while the actual contents is similar to others – with 100% purity. The simplicity of these products means that even small differences add up. The product itself is almost indistinguishable from others on this list, while the count and cost are comparable even if slightly better than others discussed so far, with the exception of BulkSupplements’ prices. The one area where Pure’s ALCAR supplement wins out is with the company standards and values. With an FDA “good manufacturing practices” accreditation, this product is clearly winning on the grounds of consumer peace of mind. GMP seals are awarded for company manufacturing practices that ensure that what you see is what you get. This goes a long way to providing peace of mind, ensuring your supplements aren’t tainted, and shows that a company is pro-active when it comes to their product and processes. Another product with a 100% purity and GMP seal, as well as the exact same cost per count that we see with Pure’s ALCAR supplements. Clearly, there’s a lot of compression in the market. ALCAR supplements all seem to be competitive with one another across the board and there’s very little innovation thus far. While this is exactly comparable to the previous product, the RRP is much higher. The sale prices on We Like Vitamins seem to be consistent – it’s not actually the RRP and hasn’t been for months. This seems like a sales tactic, but the result is the same: a product that provides 100% purity with GMP certification. This product comes with the most ridiculous price point of any on this list so far. It provides the exact same ingredients as others, but with a huge premium price tag that lacks justification. The effectiveness and quality aren’t in question here – there’s a GMP certification on this product as well as regular 3rd party testing. This means that you’re getting what it says on the label – just at a cost that makes it untenable compared to previous products. With such a close field of competition for your cash, Doctor’s Best doesn’t seem to be your best choice! This is a great middle of the range product that comes with a great price point. There’s a lack of peace-of-mind benefits like a good manufacturing practice. There are also some concerns about the potency of the product among customers – who often relate that it seems to be weaker than the label says. Others have even mentioned concerns for digestive health with this brand of ALCAR, which suggests some greater concerns since the actual compound has not been reliably linked to any digestive problems. Jarrow have a mixed reputation in the supplement industry – we’ve covered some of their products before and haven’t been totally bowled-over. They tend to be effective but sit in the middle of the pack on many of our supplement guides. In many ways, their ALCAR is the perfect example of this. It comes at a relatively good price, but with only 60% of the overall capsule count of other products, making the overall cost per capsule higher. It’s cheaper than Doctor’s Best, but more expensive than others like Mental Refreshment or We Like Vitamins’ products. The actual product is exactly what we’ve already seen: 100% ALCAR by weight, though the serving size is a single capsule which obviously isn’t going to work at 500mg each. With 2 capsules a day to match the potency of other products, it’s a 60-serving product, and not particularly outstanding. There have been historical problems with quality assurance, however, where different batches were sent. Some of these included pharmaceutical grade ALCAR, while others did not. This has us concerned for the reliability, especially since different batches have different vegan status. ALCAR is a form of carnitine that is bound to an acetyl functional group and can benefit both the brain and metabolism. Like regular carnitine, it is a key compound in supporting cellular metabolism, but is more bioavailable and is able to cross the brain barrier more effectively. The most important benefits are tied into the interesting implications of ALCAR for mental health, too, where it combats chronic stress. Combining the physiological and psychological benefits of this compound paints a complete health and wellbeing supplement. One of the big contentious issues is ALCAR for fat-burning. All the theory says it should work, but the studies are conflicted and leave you in a muddle. Fortunately, we’re going to simplify and condense all the science for you, so you know when it’s an appropriate choice for your goals. The benefits of ALCAR overlap with – and build upon – carnitine. There are a huge variety of knock-on benefits that come from the metabolic and psychological gains you’ll see with ALCAR. This means we’re only going to be able to cover the most important ones. 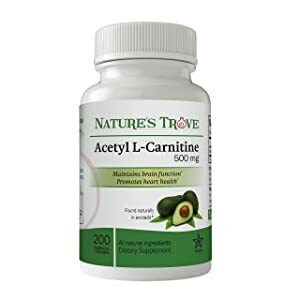 This is the #1 benefit to carnitine in any form – even more so for ALCAR due to its improved effectiveness. Carnitine is key for cellular metabolism, which is a serious benefit when it comes to muscle tissues. The ATP production process is where your muscles get energy from, and ALCAR significantly enhances this process to provide better energy levels in the muscles themselves. This is comparable to creatine in terms of its energetic benefits – with similar improvements to strength, endurance, and muscular recovery between workouts. These are crucial to prevent long-term muscle loss and may also add to your performance on a session-to-session basis. This is especially important in high-power workouts, where ALCAR improves the metabolism of carbohydrates – the best source for high-intensity exercise. Supporting this process means making the most of your diet and producing consistently better workouts. The energetics of cells is a real concern for health and wellbeing – especially when you look to the future. Healthy aging is one of the most important and sought-after benefits of a good diet and exercise regimen. ALCAR’s energetic effects are significant here, where they improve the lifespan of cells and their regeneration. This reduces the risk of cell death and can significantly change the way that aging affects you. Improved membrane and enzyme health, along with a powerful antioxidant action, contribute to a significant anti-aging effect. This is also going to contribute to a longer, healthier approach to exercise and fitness where oxidation can be a real risk in response to exercise stresses. This is about the next decade of performance – not just how you perform in 30 years. Investing in health sooner just means a consistent pay-off for years to come. ALCAR has almost universal benefits to your brain and nervous system – working across a wide variety of systems. Neurotransmitter health and abundance is a central consideration for your psychological wellbeing and brain health. The neuroprotective effects are wide-ranging and supporting Acetylcholine production is a huge deal all by itself. This also provides a significant leg-up to the longevity of brain cells, especially by protecting them from bad influences like alcohol. This is paired with an improved effect on protein health and regenerative compounds in the brain – especially “heat shock proteins”. ALCAR doesn’t just benefit performance in the muscles and brains, but also some more-common health markers like blood sugar. Decreases in blood sugar levels are significant and consistent with ALCAR supplementation. This is important because of the implications with diabetes – especially since there are clear improvements to insulin sensitivity during studies using ALCAR. These are both relevant since the implications for both weight management and blood sugar combine to reduce the risks of significant diabetic symptoms. These operate at the cellular, serum, and whole-system level to improve health across the whole spectrum of effects. ALCAR is popular for fat loss supplements and supporting the diet process, but does it actually improve weight loss? This is a question that is still open within the literature. The theory is all there to support a decrease in fat mass during studies, but there are indications that this is about combatting deficiency – especially in the elderly – rather than adding extra ALCAR to the body. In these at-risk populations (over 100 years old! ), ALCAR led to muscle gains and fat loss. However, studies on non-elderly people did not show the same results. There are a lot mechanisms of effect here – where atrophied muscle gives way to intramuscular fat deposits – that you don’t see in active people. At the very least, we can see that ALCAR is beneficial. It’s most likely that this is a beneficial compound for fat loss in those who are sedentary or elderly. Otherwise, it’s unclear for now just how effective ALCAR might be in healthy adults. ALCAR is healthy and totally free of side effects in studies up to an enormous 400mg per kg of bodyweight. This produces an enormous dosage and you’d struggle to take enough ALCAR to actually produce significant side-effects. While some individuals have complained about digestive issues, there’s nothing in the literature to suggest any significant risks. We recommend starting with a smaller dose to see how you feel before diving into the upper end of the 600-2,500mg range. There are some concerns for the knock-on effects with Acetyl-CoA, which is produced in response to the consumption of acetyl groups, but these are very minor. Practice moderation and it’ll be fine! 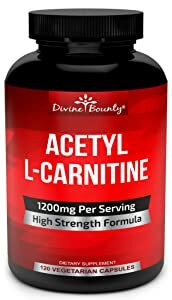 The acetyl group attached to l-carnitine makes a significant difference. When we look at the bioavailability and per-gram effectiveness of the two compounds, ALCAR wins hands down. Not only does it provide additional energetic benefits, but it has mental health and neurotransmitter benefits through the formation of Acetylcholine and Acetyl-CoA (mentioned above). These are key to supporting effective neural health and combine to make ALCAR the clear choice of the two! If you’re not getting enough ALCAR, there’s not much point taking the supplement. It’s an effective form of carnitine supplementation and requires an equally effective dosage to get the best results. You should be looking for a total dose of 600-2,500mg of ALCAR, as this is the range that has been shown to have clinically-significant effects. This provides for all-positive effects and avoids any of the possible ACoA changes that might affect cellular metabolism negatively. You’ll be supplementing on a daily basis, so a product that supports this process is going to be the best choice. Your money is valuable – you want to spend as little as possible and get the best results possible. There’s no dispute: a cheaper product with the same benefits is the better product, and a more expensive one will always be inferior. ALCAR synergizes well with a variety of other supplements, so the list of possible secondary ingredients is extensive. They can add to the effects of your supplement – as long as they don’t replace the dosage of ALCAR. Getting the most from this product is about overlapping with other compounds that have similar physiological and psychological benefits. Anything that improves energetics and metabolism will balance perfectly with an ALCAR supplement. We don’t see many secondary ingredients in the value-for-money supplements in the list above, but an effective supplementary ingredient can make ALCAR supplements better. This does often come at a reduced purity and greater cost, however. You want to get your products from a company that has good manufacturing practices, a pro-science approach to their own products, and a great reputation. Customer service is also important here; nobody wants to deal with a company that doesn’t care for their customers. If everything else is equal, this can be an advantage. If it’s awful, then it’s hard for any product to make up for these problems. ALCAR should be taken once or twice a day to achieve a dose of 600-2,500mg. This has additional benefits when taken with almost any other metabolic or psychologically-beneficial compound. Examples include choline, creatine, ALA, CoQ10, and it even protects against the mental health risks associated with Alcohol. There are a dozen different benefits that are associated with ALCAR and its combinations – even something as simple as green tea, which it synergizes with! There’s no real deleterious effect to taking L-Carnitine on an empty stomach. It’s non-toxic and it doesn’t produce significant digestive stress in the doses mentioned above. The only concerns you might experience are occasionally unusual smells when taking large doses of potent ALCAR. There are methyl groups associated with this product’s breakdown and effect on the body, which can produce a distinctly-methane smell. This shouldn’t be a significant problem, however – these were produced in lab conditions with enormous dosages. We’re not entirely sure yet – there are definitely some reliable benefits to the elderly, where muscle gains and fat loss occur. However, these haven’t been reproduced in healthy adults yet. It seems right now that the majority of benefits are associated with combatting deficiency rather than adding ALCAR on top of what you’re already taking in. ALCAR definitely has benefits, and there are some indirect benefits to the diet/weight- loss process, but fat loss is not a direct result of ALCAR supplementation. ALCAR – and carnitine in general – are important for those on a plant-based diet. 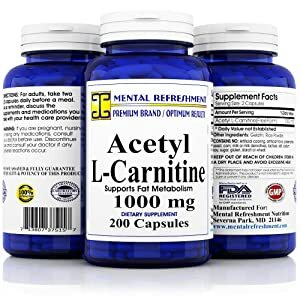 Carnitine is a compound that is essential for muscular metabolism and a bunch of other significant effects, many of which are shared with ALCAR. It’s also almost universally and exclusively found in animal products, making it a significant concern for vegetarians and vegans. These groups need to ensure levels remain high with effective supplementation and consistent use. ALCAR is a great choice for this, where it provides the necessary support alongside a variety of other, secondary benefits. The best ALCAR supplements don’t have much between them – the products themselves are capped at 100% purity. There’s very little to commend one over the other aside from their manufacturing practices, price, and servings per dollar. Even in the mixture of these products, there’s a clear winner for price and purity in BulkSupplements. The powdered product has a huge advantage of being cheap, as pure as possible, and easy to use in combination with a coffee, protein shake, or any other beverage. If you’re not ready for the uncertainty of a powder product and you want a little more convenience, we recommend Mental Refreshment’s ALCAR capsules. These provide some of the best, cheapest, FDA-assured ALCAR on the market with better customer response and great purity. The quality of a supplement is often the result of how well it does the basics. In our list of ALCAR supplements, this is pretty clear. However, when the products are so closely matched it becomes very difficult to know what’s best – and the best products are separated by very small differences. The company practices are a significant part of what makes for the best ALCAR supplement and it is clear that good manufacturing practices and peace of mind are a significant player in your choice.